Bolt In Action. Created with Microsoft Paint. Yes, I can draw Bolt better with a pencil than with a computer mouse.. Wallpaper and background images in the Disney's Bolt club tagged: bolt movie disney dog homemade paint. Created with Microsoft Paint. 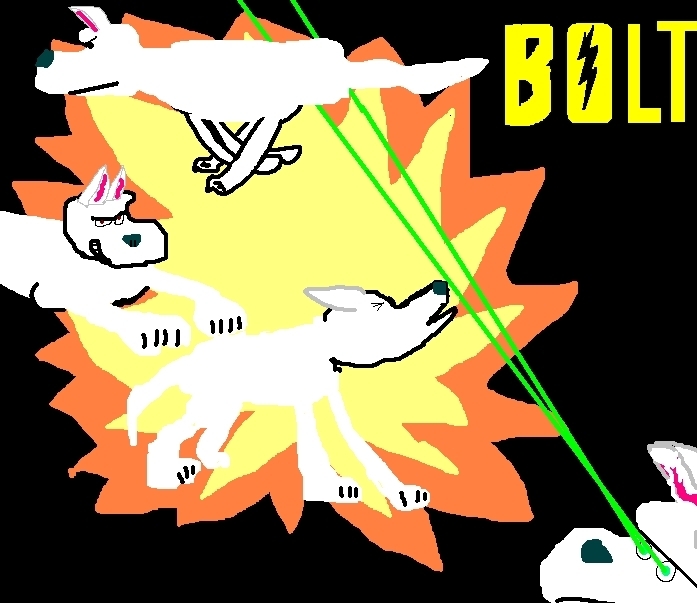 Yes, I can draw Bolt better with a pencil than with a computer mouse.